I usually try to plan out and shop for dinner recipes, but some days are a “what’s in the fridge?” type of day. This meal was a perfect example of that. Use what’s on hand and get creative! 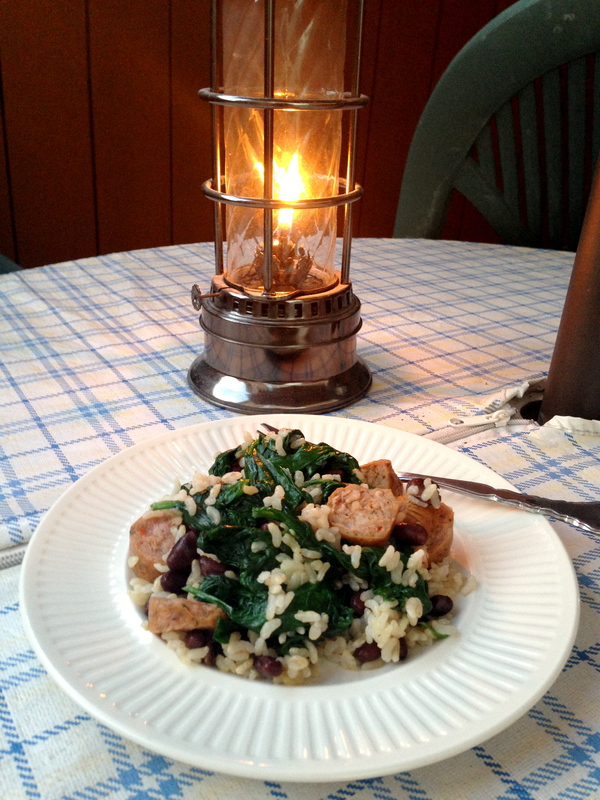 We had leftover Jalapeno Chicken Sausage from this delicious meal, brown rice, black beans and fresh spinach. Easy, simple to make, healthy and tasty! Win win all around. 1. Cook brown rice according to package directions. For the TJ’s steam in bag it was 2 minutes in the microwave. Allow more time for brown rice made on stove top. 4. Drain black beans. Add to cooking pan until heated. 5. 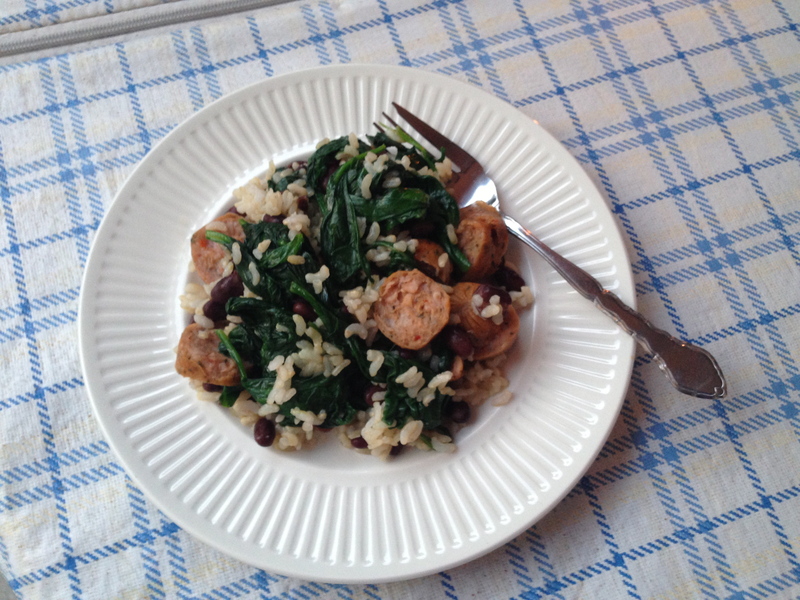 In large bowl add brown rice, chopped chicken sausage, spinach and black beans. Add salt and pepper to taste and combine ingredients. Serve by candlelight! Chicken sausage is a great option to spice up any meal, while being a healthier option than regular sausage. I recommend it in rice dishes, stir fries, in salads, soups and more. Try different flavors to see which you like best. Enjoy! Food | Fitness | Etc. My journey to good health: Weightloss and gastric by-pass surgery.